on our roadsides are of exotic origin. View: Weedy immigrants adorn N.S. It’s appropriate to distinguish between exotic species and invasive species. 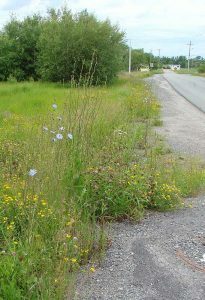 Approximately one-third of the 2000+ vascular (higher) plant species in Nova Scotia flora are species of exotic origin, i.e. species that arrived here concurrent with European settlement, and ongoing. Those present in pre-European times are considered “native species”. Most of the exotic species are found in open (non-shady), disturbed, human-made habitats. Examples are dandelion, wild carrot, plantain. Many came over as weeds in bags of grain or forage seed that were planted here by settlers, or are forage species that naturalize (go wild) quite readily, e.g red and white clover, timothy grass. Most of our garden plants are of exotic origin. Most do not “naturalize” (go wild), but a few do. They may just blend in with the other exotic species of open, disturbed habitats. Very few of these exotic species become invasive, meaning they are aggressive colonizers that displace or suppress native species. 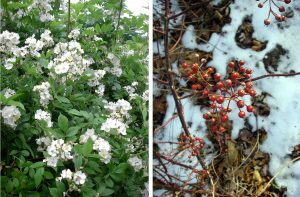 Of plants commonly described as invasive in Nova Scotia, most will colonize only open, sunny habitats and they do not penetrate far into habitats dominated by large native shrubs and trees. An example: e.g. Japanese knotweed. 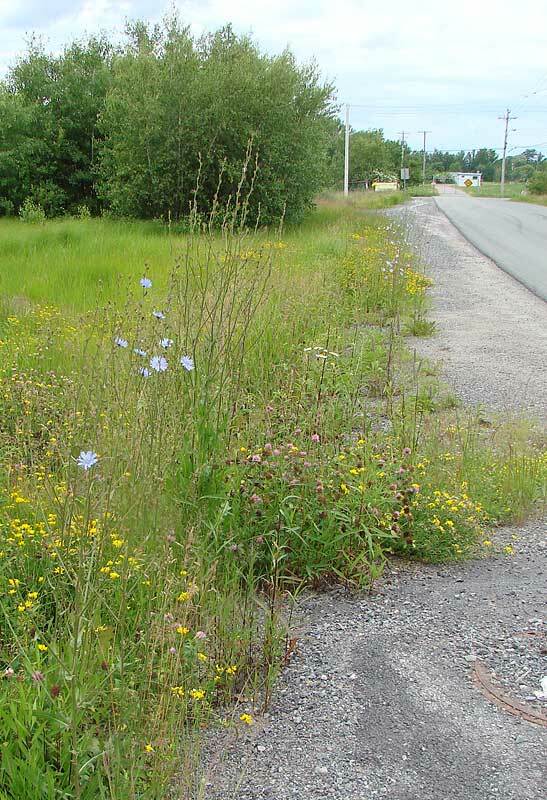 Also, in Nova Scotia, the highly acidic, nutrient-poor soils over much of our landscape are another impediment to colonization by many exotic species. – Multiflora rose (Rosa multiflora): there are a few plants on Smith’s Road and at the beach area. It’s worth monitoring and keeping it under control at this point as once it gets going, forget it. (See Multiflora rose in Point Pleasant Park for an example of how quickly it can spread.) View more about it in the subsection on Rosa multiflora. – Glossy buckthorn (Rhamnus frangula) I noted only one plant, not reproductive and ID still to be confirmed; it is also in the vicinity of the parking lot on Smith Road; likewise I suggest monitoring and control (removal) of existing plants. There are other species that are invasive in open wetlands, e.g.purple loosestrife, reed canary grass (also multiflora rose). We should keep an eye out for aquatic invasive plants, notably yellow floating heart (Nymphoides peltata).